Feedback is everything when it comes to customer service and customer experience. It’s even in our company mission that “Feedback is a gift”. But today, most company’s still look to just solicited feedback, such as surveys, review sites and social media posts for how they are doing. That is only giving a portion of the customer experience story. Unsolicited feedback is needed to tell the whole story. Unsolicited feedback from 100% of your contact center calls (and possibly other channels) will reveal rich CX insight from the voice of your customers as well as the voice of your employees. That’s attractive, yet potentially overwhelming when you realize the potential scale of transcripts and audio that you might be slammed with if your contact center just starts sending data without context for what you are looking for. 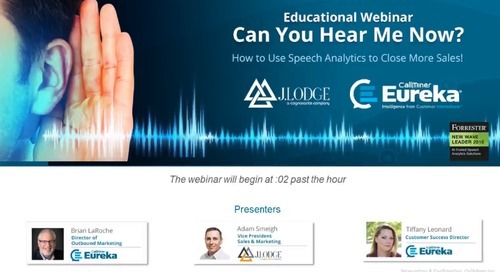 How do you get started with implementing speech analytics to capture the most impactful unsolicited feedback? Evaluate where you suspect that you will gather the most relevant CX insight for your specific needs. For example, would you like to validate survey results with interaction evidence? Or, are you seeking some voice of the employee (VOE) insight because it’s so hard to obtain with intermittent internal surveys? CX use cases for speech analytics are previously defined within this document. Use these to establish a prioritized list of where to start with speech analytics for CX and as for a roadmap for the future. Share your speech analytics fueled CX Insight ideas with your contact center team. Remember that in some cases the contact center may be wary of sharing what they might consider “their data” beyond contact center boundaries. Take some time to explain how you can use unsolicited feedback for CX optimization throughout the organization. Frame your goals so that a contact center team can help establish categories, automate scoring and more to send you the most impactful CX data. You don’t have to immediately embark on a technical integration between your CEM platform and speech analytics to realize CX value from unsolicited feedback. You can compare survey feedback with contact center interactions associated with survey results for root cause analysis. Or, you can use the metadata and scoring from contact center interactions as source data for issuing surveys. Speech Analytics and CEM platforms within examples such as these will deliver CX results without technical integration. There are manual steps involved of course. However, a benefit is rapid results. Sending categorized alerts such a dissatisfaction, churn language and more to your CEM platform affords the advantage of alert distribution within your existing CX infrastructure. An option can be to match some of the alerts you may have set-up from survey feedback within a feed from speech analytics. Make everyone aware of what you are planning on accomplishing. Remember that your organization associates you with survey feedback and CSAT scoring. Adding unsolicited feedback with transcription and audio examples to help drive awareness and action will be a new concept for many. Avoid surprises with at the very least a brief overview of what CX value you expect as a result and any reporting/awareness that departments across the organization will realize. When speech analytics-fueled CX insight drives action remember to follow-up with a Return on Investment (ROI) analysis. Audio evidence from speech analytics in particular can add emphasis with emotion to help garner additional CX investment. These 6 tips are a just a start on how you can implement gathering and utilizing your speech analytics data for better customer experiences. You can learn more in our complete CX Pro’s Guide to Speech Analytics. The post 6 Ways to Go Beyond the Survey with Speech Analytics appeared first on CallMiner.